Come and join us at the annual Friendship day at Korean International School, where Korea community organize booths, games and cultural shows for friends in Hong Kong. Organized by Korean Residents Association Hong Kong, it is the best occasion to have fun and make friends from different culture! 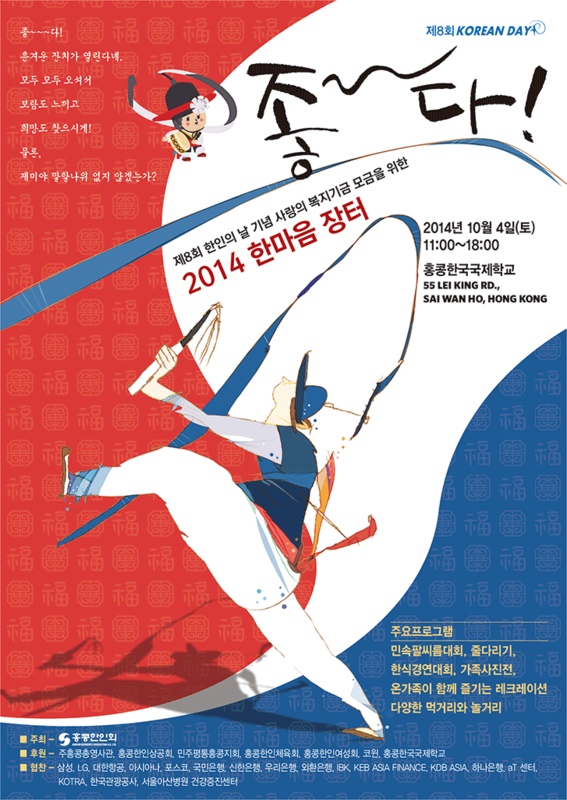 Highlighted events include trying traditional costumes, buying bargain Korean products and trying tasty delicacies!